A turn of the handle tightens the GearKlamp. 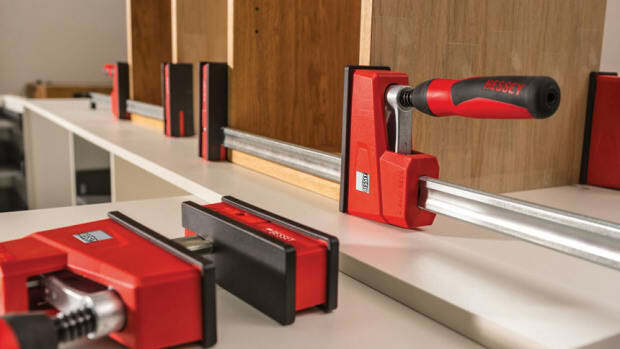 Bessey Tools presents the GearKlamp, a more compact solution than the classic bar clamp that’s designed for clamping applications in confined spaces and tightening up material against other work surfaces. The GearKlamp features a patented gear mechanism that separates the spindle from the handle for greater clearance. The final clamping action is completed by turning the handle, which is uniquely positioned around the rail. 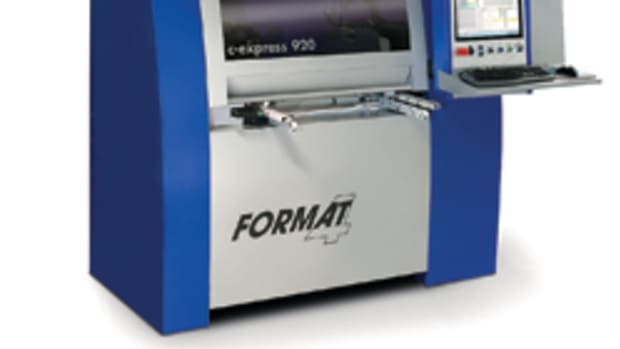 Each turn of the handle transfers the clamping force to the spindle through a geared mechanism incorporated into the sliding bar. “The handle placement is by far the biggest advantage. 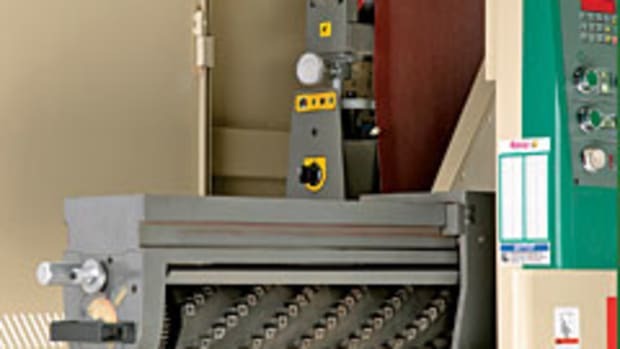 It allows one to work in cramped areas or up against another surface where hand clearance is limited. 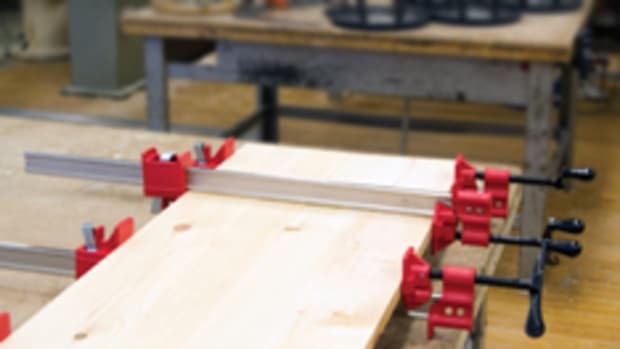 I don’t know of any other type of clamp that works this way and allows the clearance that this one does,” says Andrew Fera, vice president of marketing for Bessey Tools North America. The GearKlamp is available in 6”, 12”, 16” and 24” lengths. 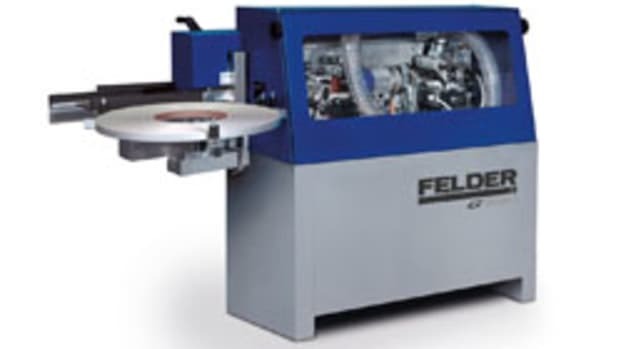 Each clamp has a throat depth of 2-3/8” and a clamping force of 450 lbs., according to the company. 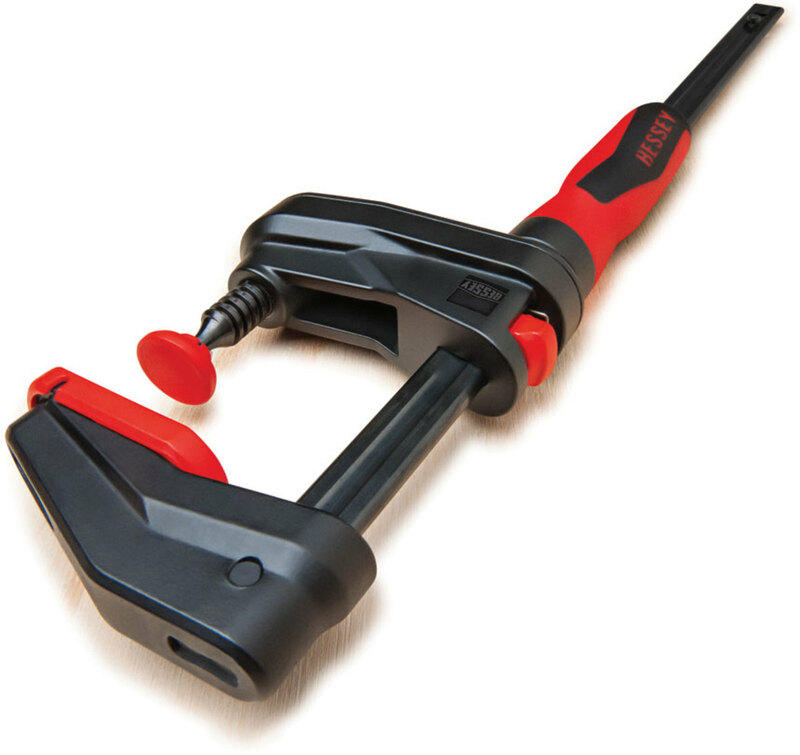 The clamp sells for $16 to $25, depending on length. It’s all in the name. Gears are designed to create a mechanical advantage, and the new GearKlamp from BESSEY does so in an ingenious and incredibly useful way. Its designers have discovered how to exert up to 450 lbs. 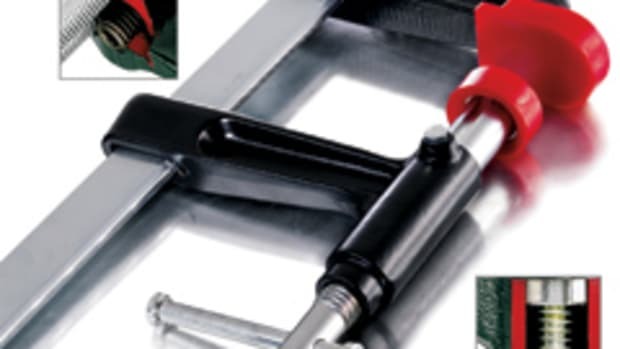 of clamping force in a compact clamp that fits into confined spaces. 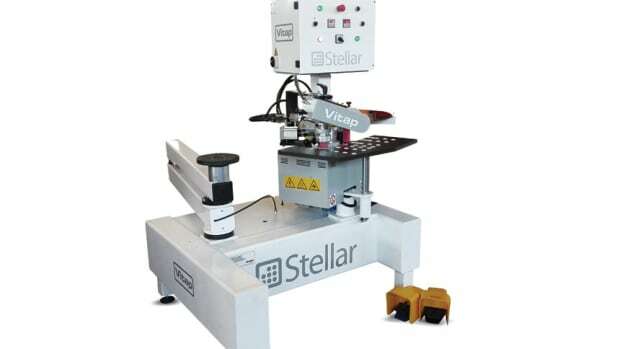 Atlantic Machinery Corp., the exclusive North American distributor for Vitap, has the Italian manufacturer’s new semi-automatic, entry-level Stellar contour edgebander. 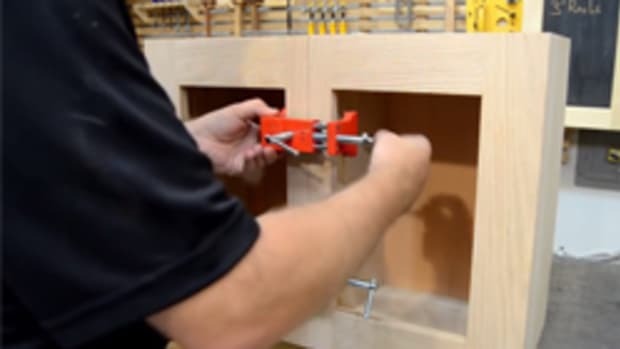 The Bessey BES8511 cabinetry clamp for face frames is designed to combine the multiple steps of face frame cabinet installation into one easy process. 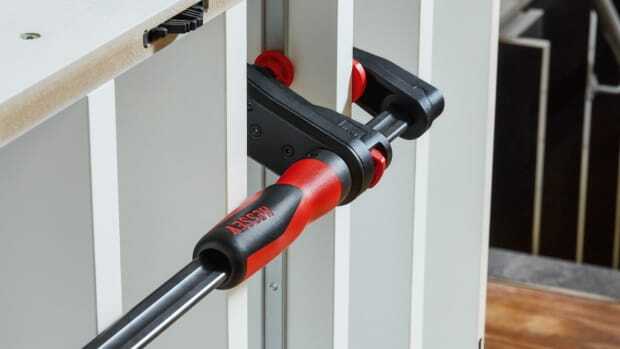 Bessey Tools has made small but significant changes to its K Body Revo parallel clamp, which will be available in January 2018.